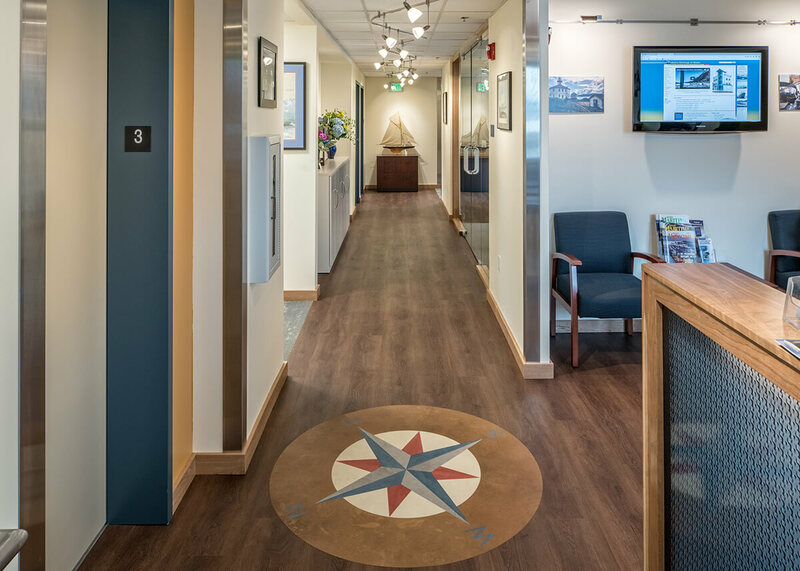 This new facility, providing vessel tracking world-wide with a focus on North Pacific international traffic, features a 24-hour vessel monitoring operations center. 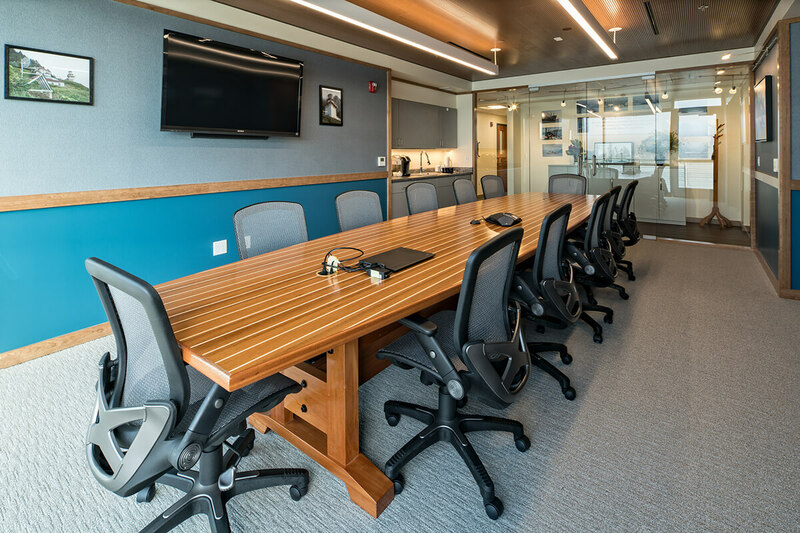 This central function is supported by offices, meeting space, and electronics shops needed to sustain this technology-rich enterprise. 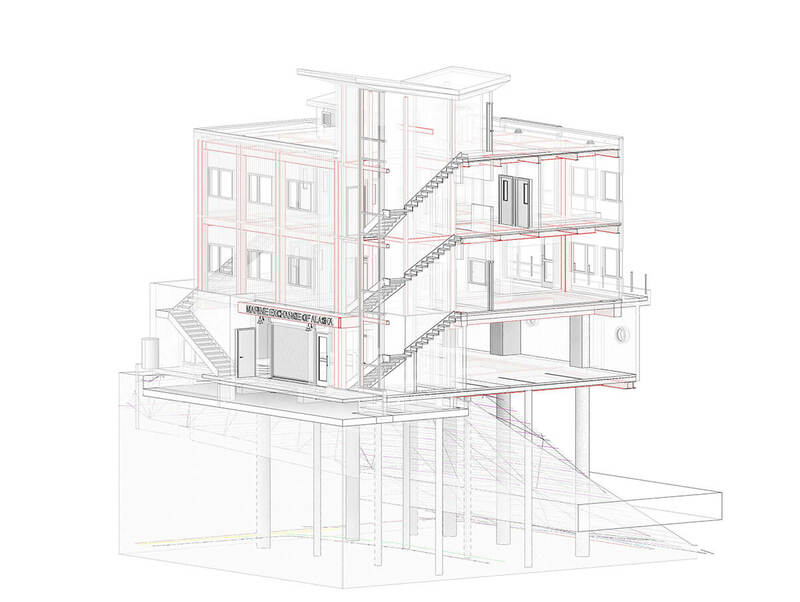 The three story 6,400SF building is located on a very small urban waterfront site. 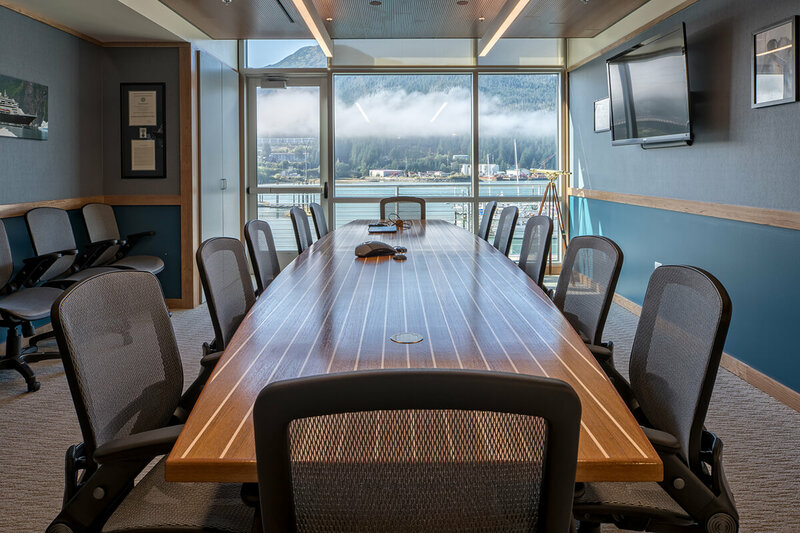 To fit required spaces, the building utilizes a moment frame supported on steel pile, cantilevered over the tideline the Juneau harbor. 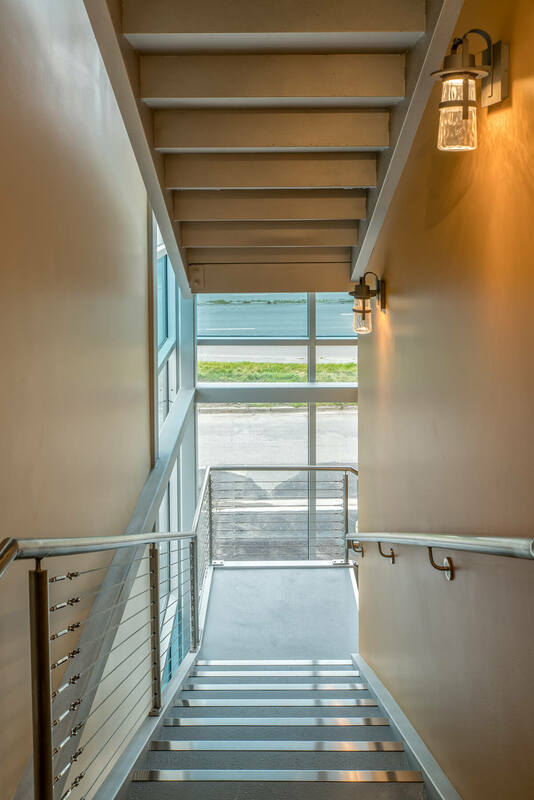 The building employs best-practice sustainable design, with high-efficiency envelope, triple glaze windows, and an air-source heat pump. 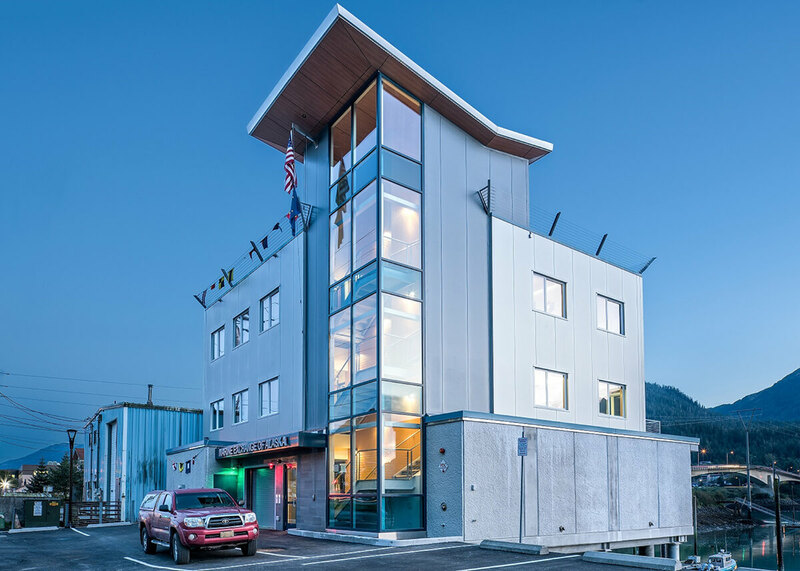 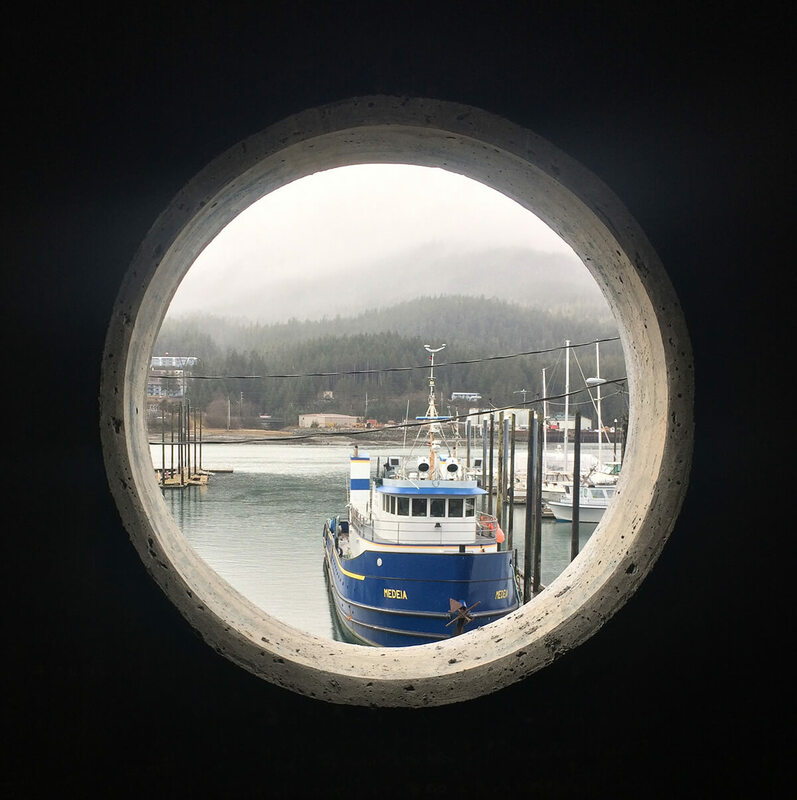 While the stair tower was necessary for critical access for roof-mounted satellite and signal tracking equipment, MRV used the stair tower as welcoming beacon to the downtown Juneau waterfront, incorporating other nautical themes to celebrate this new business enterprise.